The elegant design is minimalistic with a true Scandinavian feel. The RAND Picnic is sleek with a focus on hydrodynamic and graceful lines. Furthermore the steering wheel provides a luxurious experience and the high-quality aluminium console and sustainable interior is made from wood providing a tactile experience. The RAND Picnic was born with the desire to offer the most compelling sailing experience with maxiumum usability.For this reason this low maintenance motorboat is incredibly easy to manuvre and it requires no sailing license or experience to use and sail the RAND Picnic. The lightweight hull makes it easy to transport by trailer, and its large storage rooms can hold indeed anything from canvas cushions, life vests, bathing towels, and of course your fully equipped picnic basket. 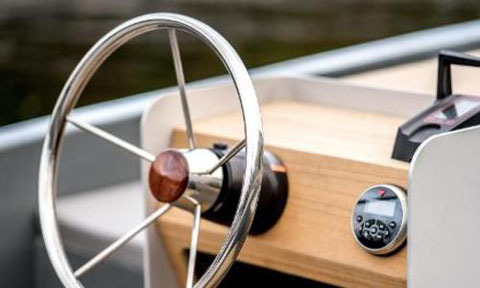 As a result of the company vision, RAND Boats has created the unique RAND Picnic boat. 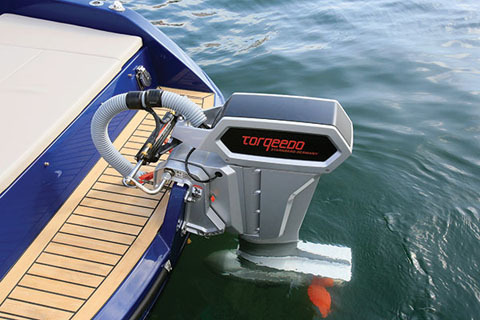 This motorboat is innovative, user-friendly and easy to maintain. In addition the Picnic is driven with minimum environmental impact, due to RAND Boats sustainable approach to motorboat design. The RAND Picnic introduces a brand new approach to leisure time activity at sea. The elegant 18ft open day-cruiser is an affordable, low-key luxury boat that truely offers a new way of experiencing social interaction with friends and family, while sailing due to the unique interior design, the high usability and the electric engine system. 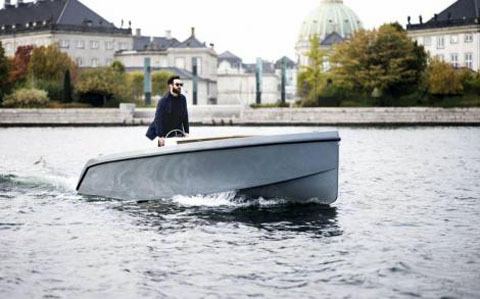 The RAND Picnic is sustainably produced in Denmark at RAND Shipyard with the focus of optimizing hydrodynamic efficiency, and optimal environments for pleasurable sailing.